Review : In 140 AD, a young Roman centurion attempts to uncover the truth about the disappearance of his father's legion—the Ninth—in the north of Britain 20 years previously. 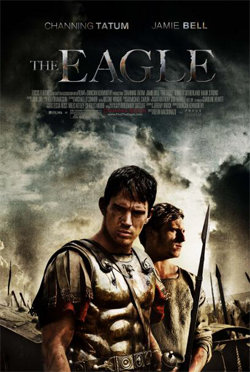 The centurion, Marcus Aquila (Tatum), travels with a British slave, Esca (Bell), beyond Hadrian's Wall into Caledonia (now known as Scotland) where he must confront the Pictish tribes to recover the legion's eagle standard and restore his father's reputation. It's revealed that all but a small amount of deserters were killed in an ambush by the tribes and Esca knew the truth the whole time as his tribe was one of the ones that attacked the Ninth.